Santa Fe's Colorado Division Speedway: A History of the Legendary Mainline Between Dodge City, Kansas and La Junta, Colorado. The Speedway was at various times a major part of a division and at times a division in itself. Author Walz explores the history of how the Santa Fe built through this country, of how it served the towns and industries along its lines and how it operated the railroad from the 1870s through 1996. 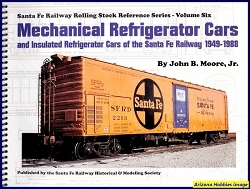 It includes a town-by-own description of the line with detailed information on terminals like La Junta and Dodge City. 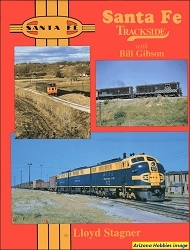 But first and foremost, this is a study of the passenger trains especially in the period from 1938 through 1971'when Santa Fe routinely operated them over the Speedway at some of the highest sustained speeds on the system. Twenty-five years in the making, the book is richly illustrated with period views, including the work of pioneer action photographer Otto Perry. This, then, is not only a study of the Santa Fe Railway in the high plains of western Kansas and eastern Colorado, but an economic and cultural history of the region as well. 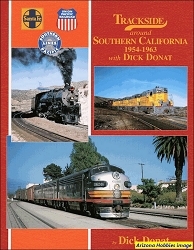 Santa Fe Railway H&MS, softcover, 160 pages, 11 x 8.5 x .5 in., 150 photographs, 18 in color, maps, timetable reproductions and bibliography.